Today, one of the most popular messages among ministers and laity alike is the concept of sin without condemnation. A perspective where references about Jesus’ comments and how He never condemned anyone, including the woman caught in adultery, are often quoted. While it is true that Jesus said…“God sent not His son into the world to condemn the world, but that the world through Him might be saved,” It is quite amazing to me, that many people today, especially those among the Christian crowd, are diligently searching for biblical theology that focuses on and their freedom from condemnation, rather than upon the instructions of Christ to “Go your way and sin no more,” the remaining portion of what Jesus said to the woman caught in adultery. It has become relatively apparent as of recent, that many contemporary Christian believers may be looking for a means by which to justify on-going sin in their lives, rather than becoming separate from sin, so even conviction is avoided as being the equivalent of condemnation and instead…a message of “Grace” is preached in its place, as though grace is a work of Jesus’ blood that overrides any form of accountability, penalty or everlasting punishment. While it is correct theology for the most part, to proclaim that Jesus did not condemn anyone in their sin, it is also incorrect theology to proclaim that Jesus said to anyone that they will not experience condemnation if they sin. Why? Because…condemnation is the result of sin, not God! In other words, God doesn’t actually condemn anyone; sin itself provides that service. Satan is the accuser of the brethren and he will see to it that the heart of the sinner feels condemned even when it has not been condemned by God. That is, at least until they keep willfully sinning and eventually become debased enough in their thinking; having their conscious seared with the hot iron of false teachings regarding their eternal security. In such cases, they often become unfeeling, unashamed and even unaware of their sin before God. What makes us truly believe in the first place, that the human spirit designed to be linked to God’s Spirit, shouldn’t become aware of its pending doom, providing we do not make a conscious effort to repent of sin. Even Adam & Eve, knew by their own God consciousness that they had sinned and were naked (uncovered,) because their eyes were open to their sin by their own spirits. No one else was present in the Garden of Eden to condemn them but Satan. The Lord then asked them the question… “Who told you that you were naked?” As a result of their sinful shame, they sowed fig leaves together, in order to cover their transgressions. Feeling condemned, they then hid themselves from God. But God did not condemn them or make them feel guilty in their sin, but rather convicted in them in their hearts, and gave them opportunity to be atoned of their sin until the day of Christ and true forgiveness would come through His own shed blood. Never forget, they were among those Jesus preached to in the Paradise of Hell and therefore received the hope that David had prophesied of saying… “He will not leave my soul in Hell; neither will He suffer His holy one to see corruption.” Yet many in today’s modern society; still try to sow the fig leaves of religious compromise together, in order to cover their sin rather than repent of it. Even the average young child knows instinctively by their spirit, basic right from wrong. That is, until he or she is trained to believe by others; that their words or actions are merely status quo and require no moral or spiritual recompense nor consequence. Unfortunately, many of today’s minister’s are preaching to countless new believers that conviction is guilt, and therefore the equivalent of condemnation and ultimately that anything which makes you feel bad or guilty about yourself, words or actions, should be ignored as false doctrine designed to deceive one into feeling they are a sinner, when in fact…no matter how you live your life, you’ve done no wrong. Many in the laity, (new and old in the Lord,) and in the world at large for that matter, have come to equate any and all observation of their sin as being both Judgmental and condemnatory. The ultimate outcome, is a church world void of any spiritual or moral governorship. However, it truly goes to show that America is at an all time high in its biblical illiteracy. Never before in all the history of this nation, has so many people been blindly unaware of what the word of God says about sin. And sadly enough, much of that illiteracy lies in the theological understanding of its own ministers. For this reason, let us take a closer examination of what real condemnation is, let us consider the original Greek word for “condemnation,” used in scripture. A word that is widely misunderstood and incorrectly utilized in today’s westernized Christian world and apparently, even in various other countries where so-called biblical theology is taught as well. While it is certainly not correct theology or even an acceptable spiritual attitude for any Christian to feel the necessity to condemn someone or even verbally pass judgment upon someone, remember, it is virtually impossible for anyone to truly hold the final say of anyone’s condemnation anyhow, regardless of how deserving they may believe somone else to be in such condemnation. Ultimately, such great power and extreme sentencing, is Christ’s alone to possess and utilize when we all stand at the judgment seat of God. Needless to say, when someone goes as far as to point out another individual’s transgressions, many people in today’s modern world consider it equal to judgment in a condemnatory manner, even though in reality most people who are feeling condemnation, is in fact experiencing nothing more than the natural guilt of their sin, (the failure to accomplish what one believes is spiritually required by God of them,) or (the Guilt of disappointing others through one’s religious performance.) According to Websters Dictionary, “Guilt” is defined as…“The state of having done a wrong or committed an offense. A feeling of self reproach, from believing one has done a wrong.” So in all actuality, it is theologically inaccurate to believe that guilt is the same as condemnation because guilt itself does not immediately result in eternal damnation. In addition, also remember that conviction is often mistaken for guilt because neither makes one feel good nor worthy on an emotional level. Nonetheless, on a spiritual level, while the concept of condemnation or guilt, always leaves one feeling hopeless, conviction always leads one to the knowledge of an opportunity for repentance, as it is designed by the Holy Spirit to invoke the joy of salvation, much like the Prodigal Son must have experienced when he said to himself amidst the hogpin… “I will arise and go home to my father!” Now that’s TRUE grace in action, the Spirit of God leading us back to the blood of Jesus Christ and its forgiveness for sin! 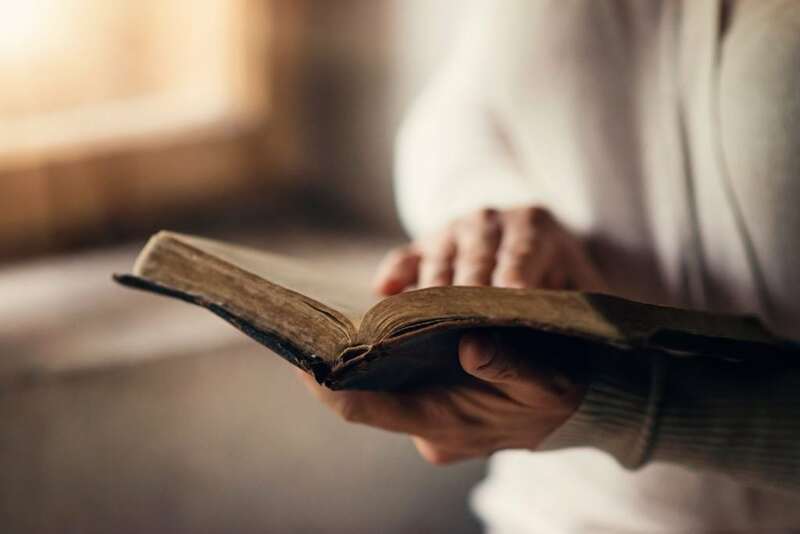 Much of the confusion about condemnation, lies on the part of false theological teachings being propogated in today’s Christian society, regarding the concept of “Grace.” Grace is being passed off today as though it were exclusive to the New Testament Church. It’s being preached as though is a direct result of Calvary and the shedding of Jesus’ blood for the lost, instead of being properly portrayed as the wonderful Holy Spirit of God, whooing the lost unto the cross of Calvary and to a holy life. And that the “Grace” of God has been drawing humanity to the expectation and hope of Calvary since the fall of Adam and Eve in the Garden. In reality, “Grace,” is as old as man himself in the Garden of Eden and was the preserving factor concerning Noah, because it pertains to God’s Spirit and its power to persuade, not because grace itself retains redeemptive action…redeemtion is solely on the part of Jesus and His shed blood. Jesus’ great sacrifice simpy gave the Holy Spirit much more to influence us with, so that now grace does not persuade us by a hope of some future event, but by a work that is already finished through Jesus’ death and resurrection! The word of God tells us that in a time before the flood, when people did extremely evil in the sight of The Lord, refused to be in a relationship with God, not wishing to even retain Him in their knowledge and even hissing at the very mention of His name…Noah found “Grace” in the eyes of The Lord. The Ark clearly portrays a type of salvation yet to come, and all who get onboard are spared inevitable death. By Definition, (Grace,) especially when closely reviewed in its original New Testament Greek, means…”Divine Influence upon the heart.” What’s this? Influence? The whooing of God’s spirit upon our spirit and not automatic exemption from punishment for sin? In other words…”Grace,” is hardly the (FREE PASS) for allowing guilt free sinning that the contemporary concept and modern biblical teachers have made it out to be. In reality, “Grace,” is God attempting through His spirit to persuade or convict our spirit to live holy and righteous lives, not a special device for justifying sin by means of some exclusive club membership. Don’t be fooled by ministers who are more like magicians with their sleight of hand” and double talk, than true ambassadors of the gospel…sin is still sin, and there is a genuine condemnation coming one day for all who choose to ignore the warnings of the scriptures. Although that condemnation or eternal damnation, won’t be determined by man but rather by God. I’ve been personally saved since before I was 5 years old, I have been in ministry for nearly 47 years and it is my experience which tells me that most older Christians who are looking for a condemnation/conviction free gospel, are individuals looking to avoid the guilt of their persistent willful sinning. They believe to acknowledge any sin in their lives is both negative thinking and is an anti-prosperous doctrine. After all, if you simply confess you’re saved, blessed, and prosperous and a genuine Christian, then you will automatically be free of any and all need to repent of sin. This simply put; means you get to keep sinning and still expect all the benefits that God’s word affords genuine believers, a concept blatantly in error to the doctrines of both Christ and scripture. These same people often take great pride in conveying this same inaccurate concept of scripture to new or even easily munipulated believers. In the process of doing so, they themselves, inadvertently become even more secure in their false beliefs; simply through the sheer number of fellow blind believers they help to recruit. The writer of Hebrews, warns the jewish believers in chapter 5, that such concepts belong to the immature, unskilled babies in the Lord, who are unable to discern good from evil. New and unlearned Christians, are often more likely to be practicing an unrepentive lifestyle based merely in their ignorance to biblical teachings. If reached in time before wrong concepts and practices become embedded in their mindset, they may ultimately become strong individuals in the faith. Either way, let us never forget that going our way and choosing to sin no more…is the essence of being free from condemnation; not ignoring condemnation, equating it to conviction, guilt or judgment. Frankly speaking, if one does not wish to suffer from condemnation or guilt, (the emotional consequence of condemnation,) don’t willfully sin! Jesus never told the woman caught in adultery that she wasn’t sinning…just that He didn’t presently condemn her. Nonetheless, he warned her not to intentionally sin again! Don’t misunderstand my comments as saying that condemnation is not regularly imparted to individuals by other people all the time…nothing could be further from the truth. The reality of religious life is, someone is always looking to condemn someone else, because it makes them feel better about their own condemnation. But we must now begin to educate others that TRUE condemnation can not be pronounced upon anyone by someone else, because it is not theirs to deliver. By the same token, we must “Give no place to the enemy” and do our best to “Not let our good be spoken evil of.” By these quotes I mean…don’t try to live as close to the edge of being like the world as possible and not expect people to condemn you because they will, right or wrong. While it is so very true, that “we have all sinned and come short of the glory of God,” this passage in scripture is referring to our Adamic nature and our initial need to be born again. Nonetheless, after we have been born again, we should strive to be free from intentional sin. Though we may never be free of unintentional sin, wherein we might accidentally offend someone, hurt someone’s feelings or even feel pressured to lie in order to protect someone’s feelings etc. Unintentional sin, is not something we commit in order to be consciously disobedient to God, willfully negligent of righteousness or even purposefully evil. On the otherhand, intentional sin is indeed a blatant disregard of the necessity of a holy life, wherein we choose not to change our lifestyle in order to please God. The word of God teaches us that… “Without holiness, no man will see God.” With regard to this matter, the Apostle Paul speaks of sins unto death and sins not unto death and indicates that while unintentional sins may not send us to hell, they may very well prevent our blessing and progress in this present life if they go un-confessed and we remain unrepeated before God as in the case of initial un-forgiveness…(example: Mt 6:14.) Intentional sin however, will indeed result in hearing Him say… “Depart from me, you who worked iniquity, I never knew you.” Paul tells us that in either case, (intentional or unintentional,) “If we sin, we have an advocate with the Father.” Wherein, “If we confess our sin, He is faithful and just to forgive us our sin, and cleanse us of all unrighteousness.” But one cannot be cleansed of all unrighteousness if one refuses to acknowledge sin and repent of it. Paul even went as far as to tells us that… “Sons of God sin not.” That means, after you confess your sin…repent, change your lifestyle and stop sinning intentionally. This word “sons,” is taken from the Greek word “Huious,” and means (Mature.) In other words…Mature sons do not intentionally sin! Doctor Hinson, are you saying you’re mature enough in God that you never sin? I’m saying that I truly strive not to intentionally sin, although I know that I sometimes sin unintentionally. Nevertheless, intentional or non-intentional, all sin requires repentance on our part as believers, once we become aware of our sin. “For unto him that knows to do good; and does it not, to him it is sin.” As a result, I refuse to hold un-forgiveness in my heart towards anyone, I refuse to render evil for evil because I know I shouldn’t and to do otherwise for me would be sin, because any intentional act of un-repented disobedience, will eventually bring me to eternal condemnation. In the meantime, we all have the wonderful privilege of finding true forgiveness through conviction, confession of sin and authentic repentance by the blood of Jesus Christ. It is vitally important that we not let conviction become condemnation or guilt, simply because we will not confess the sin and repent, once we have the knowledge that it is sin in God’s eyes. And if it pricks your inward heart (the God consciousness of your spirit,) then it could very well be sin to you. So, in the future, don’t ever let anyone tell you that conviction and condemnation or even guilt for that matter, are one and the same…lest you be receptive to another gospel other than that which was first delivered onto the saints. Today, if you have sinned and you know it, let conviction by the “Grace” of God, lead you to your confession of sin and to repentance, and always be spiritually aware that the feeling of condemnation which is often just guilt, is sometimes even the result of the unwillingness on our part to sincerely yield to conviction and repent in the first place. Never be worried about someone condemning you in your sin, when they have never possessed the power, or the rightful authority to condemn you for an eternity. But be hopeful in the conviction that you experience, although that for a short time it may bring some feelings of sorrow through the Holy Spirit’s examination of your heart, always keep in mind that wherever conviction reveals sin, if we repent, it will soon yield the fruit of salvation, rededication and the ultimate joy of reconciliation with God, in all His favor and blessings! Always choose to live holy and live guilt free so that you have no need to avoid feelings of condemnation or even the necessity to repent from willful sin! Don’t ever run from conviction, believing it to be condemnation but always let conviction be viewed as a good thing that is being presented by God to man, that he may restore us unto a perfect relationship with God and present us blameless unto Himself. So in closing then…conviction is God reaching out to us…condemnation is the eternal consequence of our refusing to reach back. Blessings! Dr. Larry Hinson ThD. DD.